An adhesive for applying false noses, bald caps, moustaches, beards, wigs and crepe hair. 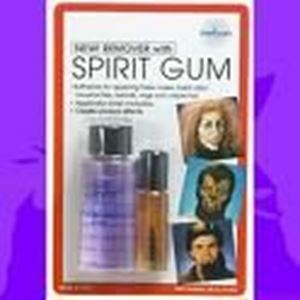 The remover will remove most spirit gums. Apply with a q tip and allow the product to seep under the item to be removed and gently ease away. Spirit Gum size .125 oz and Remover size 1 oz.